All websites are unique in their own way. We’ve seen trends in e-commerce website design like animation, 360-degree product previews, advanced filtering, and dynamic product search. However, trends don’t guarantee conversion rates or robust user experiences. There are certain elements that every e-commerce site should have to stay relevant and competitive. 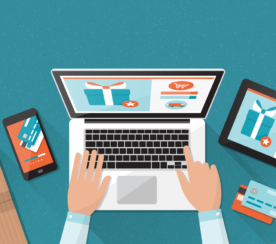 Here is a list of 15 must-have features that attract online shoppers. Technical considerations for images are crucial. Images that don’t load or take too long to load will see a consumer drop-off rate of 39%, according to Adobe. Google declared it, so it must be done. All websites are required to have a mobile-friendly version by 2017 or suffer the SEO consequences. If this isn’t reason enough, one in three online purchases is completed on a smartphone. You might think that having negative reviews is a sale killer. The opposite is actually true. Having negative reviews can often be a positive. It’s shown that products without negative reviews are seen as censored and, in turn, shoppers will assume the positive reviews are fake. 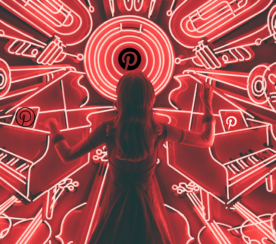 Depending on website functionality, e-commerce sites can use plugins from the most popular review platforms including Yelp, Foursquare, and Facebook. 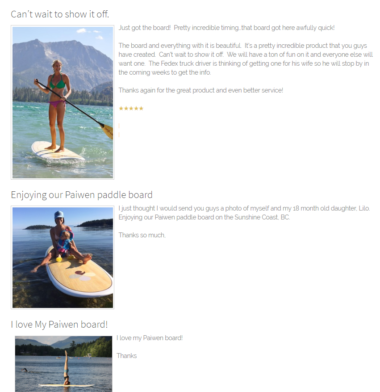 Forward-thinking e-commerce sites, like Paiwen paddleboards, are using reviews as user-generated content to drive social proof and build raving fans. When shoppers realize they’re getting a special deal, it motivates them to buy more and spend more time searching the site. 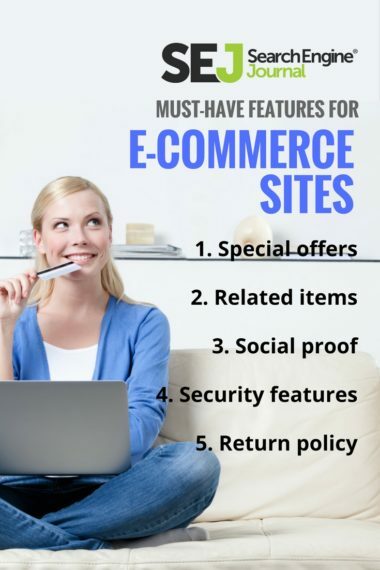 If e-commerce sites are using ongoing promotions, providing a unique webpage that lists the offers will not only drive more sales but also improve SEO. 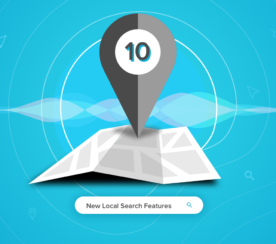 Consider the shopper searching “zip code + toyota special offers” and the value of that organic search result. Oh, how I love wish lists. One for fashion, one for books to read, one for holiday gift ideas. Shop, save, and share! E-commerce sites that aren’t using wish lists are leaving revenue on the virtual desktop table. What’s better than having customers bookmark items they want and will most likely buy in the future? That’s just gold in the pocket. And a remarketing campaign dream. It’s also an opportunity to share a brand with new buyers. When shoppers share their wish lists with family and friends, it sends FREE traffic with built-in social proof to a website. Not all e-commerce sites have brick and mortar stores. However, those that do must have a find-in-store feature. Sometimes you don’t want to wait for an item to ship. Instant gratification. Shoppers are going online just to research and then complete the purchase in person. This is especially true for millennials, as 72% of young shoppers research online before purchasing in a store. This makes it incredibly helpful to see which local stores have products in stock. Simply seeing the phrase, “you might like this” causes a serotonin release signaling curiosity and excitement. A related items feature on an e-commerce site creates the desirable stickiness effect that so many marketers strive to achieve. It happens like this. You saved the AeroPress coffee maker to your shopping cart. A section emerges that says, “you might like this”. Would you like some freshly roasted, fair trade whole coffee beans? Maybe a digital scale to measure the exact amount of coffee grounds to achieve the perfect cup of coffee? You get the picture. When an online seller uses a related items feature to sell more, it’s actually signaling to the buyer that “they get me”. Related items can also include similar product categories to comparison shop, “people who bought this item also searched for”, and so on. 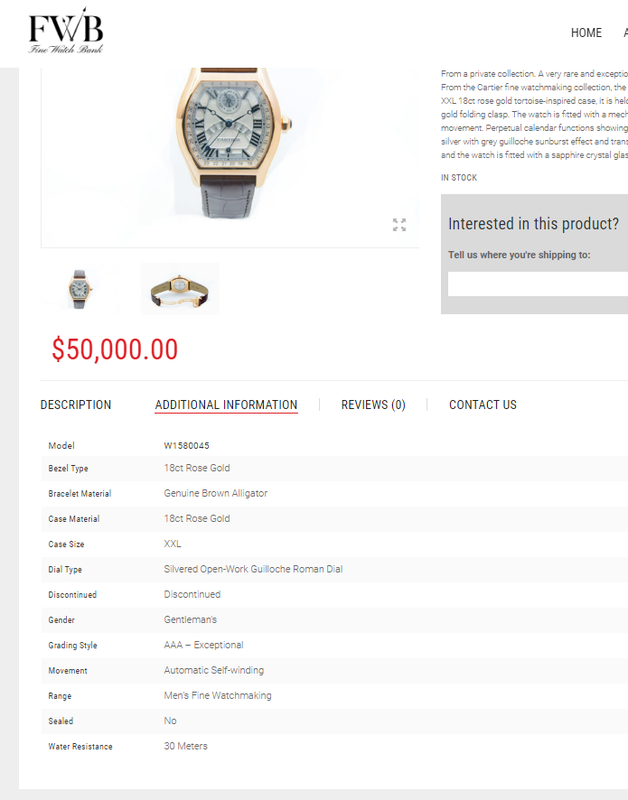 At Forthea Interactive, our client, Fine Watch Bank, sells expertly crafted high-end watches. The company’s buyers need confirmation of watch authenticity and detailed product information to feel comfortable when making a purchase. An additional information section details frequently asked information, which establishes credibility and builds confidence with the buyer. Shoppers are inundated with a constant flow of “buy now” and “get this”. It’s those brands that engage with customers socially that create customers for life. They are offering products that help others and that people care about. Social media allows e-commerce brands to show authenticity and associate an emotional connection with their products. Look at Nike’s Pinterest account to see how incorporating products with motivational images makes a huge impact. See how Ikea uses user-generated content to share design ideas and inspiration for how to use its products. Check out how Lowe’s produces how-to videos that teach people how to use its products. Online transactions are an integral part of our lives. As such, e-commerce websites can be a lucrative target for cybercriminals. It’s crucial that online sellers protect customer information and take steps to ensure privacy. It all starts with a secure e-commerce platform. With their sophisticated security features, it’s no wonder that Magento and WordPress paired with Woo Commerce are the top two platforms for online sellers. 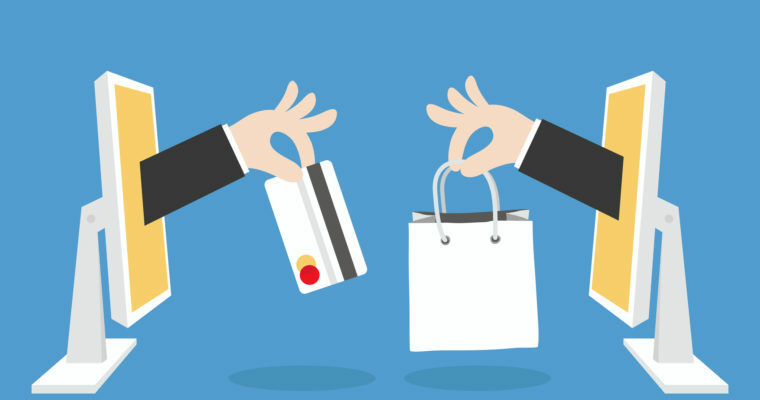 In the world of Apple Pay and PayPal, advanced payment options are a must-have feature for an e-commerce site. Just consider the ease of use associated with Amazon one-click shopping. Shoppers with registered accounts can literally buy with the click of a button. For example, an e-commerce site may not offer Bitcoin as a payment option after determining its value isn’t reliable. If buyers are technology-savvy individuals who tend toward this payment method, it’s important to be transparent as to why it isn’t an option. This transparency establishes that the brand understands its buyers and builds trust. Alarmingly, unexpected shipping costs are the number one reason for shopping cart abandonment. It’s critical that e-commerce websites include shipping information early in the checkout process, including a zip code calculator showing cost. It’s also helpful to include delivery time and options for faster delivery. Sites should list countries that are outside normal shipping zones. When it comes to running an e-commerce site where most business takes place online, nothing builds trust more than an overly obvious and well-presented “contact us” feature. This is especially true when selling high-end merchandise or technical products. At least 30% of all products ordered online are returned. 92% of consumers will buy again if product return process is easy. 67% of shoppers check the returns page before making a purchase. These must-have e-commerce site features could be grouped into categories like Duh, DOH! and Ahhh. Marketers and web designers might say “duh” when it comes to incorporating ease of use, high-resolution photos, security features, and contact information. As they are best practices and trademarks of good design. There are others who would say “DOH!” when considering elements like special offers, user-generated reviews, and social sharing. They know they should be using these features but just haven’t gotten around to implementing them. It’s never too late! Finally, the “ahhh” moment when you get excited about planning for robust related items, shareable wish lists, and find-in-store features. No matter what category you’re in, e-commerce sites have an incredible opportunity to use tried-and-true features blended with innovative new elements to create fantastic shopping experiences.